I knew this was going to be a stunner but I was not prepared for the amazingness of The Raven Boys. It sailed past my every expectation and has sky-rocketed on to my all-time favorites list. This was a beautiful, alluring, captivating book, and I still can’t get over it. I want to read it over and over, to be lost in this story and never find my way out. I find that I focus my reviews on either characters or plot, even if I love both. I always seem to love one more than the other. But, The Raven Boys is different. Because the plot was honestly so creative and enthralling and the characters were some I completely connected with. I just want to gush on endlessly about this book. There was nothing I didn’t love. 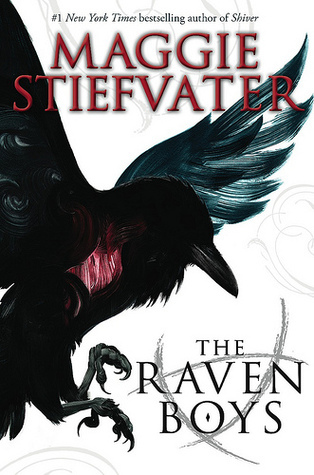 Maggie Stiefvater creates enchanting characters in all her books and The Raven Boys is no exception. I have said it once, and I’ll no doubt say it tons of times: I adore broken characters and The Raven Boys are as fractured as they come. They have so much depth, and heart and I can’t help but love every piece of them. The Raven Boys were a broken bunch and they were beautiful, stunning people, each held together by a dream and a seemingly unbreakable bond. My view of Adam varied throughout the book, but overall I was definitely a fan. He was a very sweet, complex character and one I kept cheering for. I loved his determination, and passion, although I was slightly frustrated by his pride. At the same time, I knew my frustration was simply an outsider’s perspective, and that being in his situation would give me a much different opinion. Ronan is...well, he's Ronan. A haunted soul whose dark past seems embedded in every move he makes. I think he could seem a bit off-putting to some readers, but I loved him with abandon. I want to know more about him, to peel back his armour and see what lies beneath. Noah was a mysterious character. He had a shy, calming personality, and something magical about him that I was fascinated with. I wanted to know his story, and what his role in the ley line hunt truly was. But of all the characters, Gansey captivated me the most. Gansey. Oh my Gansey. Gansey was also the character I connected with the most. Constantly searching for more, hoping to find a nugget of magic and beauty in this world. I’ve always been the kind of person that wants to know, to learn as much as I can, and to find some sense of meaning and purpose in this world. Watching Gansey on his quest to find the ancient king, to find something more to life, and to fulfill his desperate purpose was both heart-breaking and enchanting. When he was explaining his quest I felt fascinated. I clung to every word he said, and even found myself researching the historical tops online (I have to see those Nazca Lines for myself one day). I wanted to join him on his journey to find Glendower and the meaning of the ley lines. I felt myself utterly obsessed with it, just like him. I could also see that part in Gansey that was just broken, and I wanted to desperately to help him fix it. To help him complete his quest and stand right next to him as he unlocked the secrets he was desperate to know. I don’t think I’ve felt just a deep connection to a character in a long while, and it was honestly amazing. Gansey is everything I’ve always wanted in a character, and I’m so happy to have read about him. Then, of course, there’s Blue. Her fascinating home life and strange power kept me intrigued through the book. As did the prophecy that seemed to be woven into most of her life. I loved her determination and enthrallment with the magical ley lines. She wasn’t a protagonist that was going to just stand back and watch the scene, but rather dive in and be a part of the action, which was great to read about. This wasn't an unputdownable book. I set The Raven Boys aside, hung out with friends, watched Masterchef, and went along with my life. But, each and every time I picked up that book I was welcomed back with open arms. 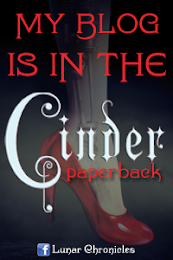 I slipped right back into the story with no sense of time in between readings. And the story was brilliant. I loved the idea of the ley lines (which I’ve heard of before, but not in so much detail), the quest for Glendower, the theme of the ravens woven in and every other magical aspect of the story. I wanted to immerse myself in this world, because I was so captivated by it. Maybe it’s just my pure love of myths and legends, but this story was just beautiful to me. Maggie Stiefvater has a way of turning simple phrases into extraordinary prose. I was amazed, as I always am, but her pure talent when it comes to writing. The words flowed together so well, I found myself sitting back stunned at points. I love amazing writing, and Maggie Stiefvater never disappoints. As a final note since really, I could go on for days, this is one heck of a gorgeous cover. If you see it up close, the Raven is made of brush strokes, which just adds to the beauty. It’s probably one of my favourite covers this year. If you love…well, if you love all things amazing in books you’ll love The Raven Boys. It is a purely beautiful novel, and I can’t wait to read it again and again. I don't think I've done this book justice with my review. Read it. It's the best way to see for yourself what I've tried to convey with my jumbled thoughts. 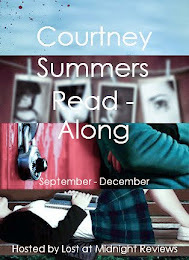 This is such a fab review, I can really tell how passionate you are about the book! That's with good reason, of course, because this book was also fab. Total love for Gansey, he was a great character. I actually can't wait to re-read this one once I have my finished copy.